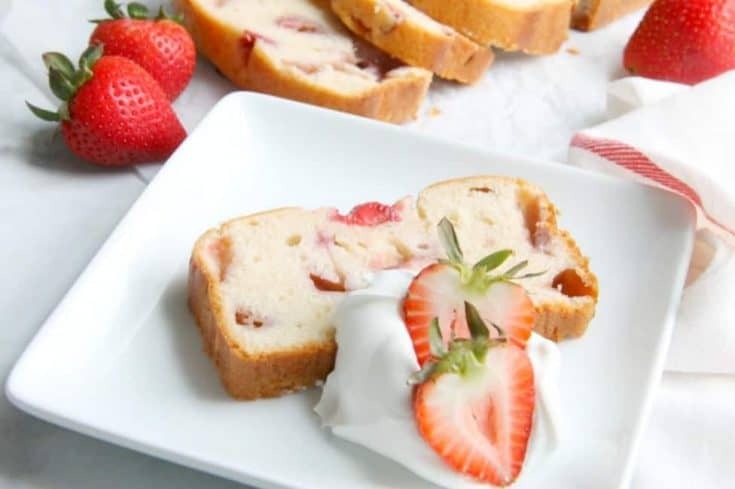 Take a classic pound cake and add summer strawberries to it to make a delicious moist cake! 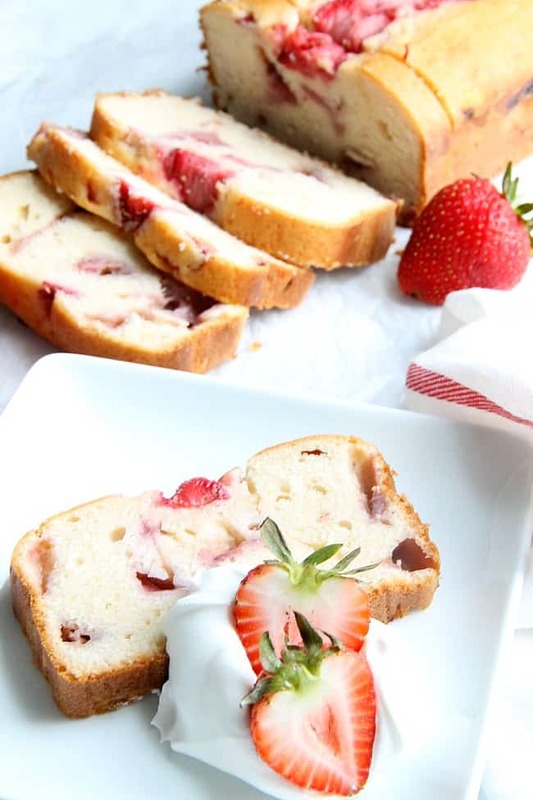 This Strawberry Sour Cream Pound cake will not disappoint! 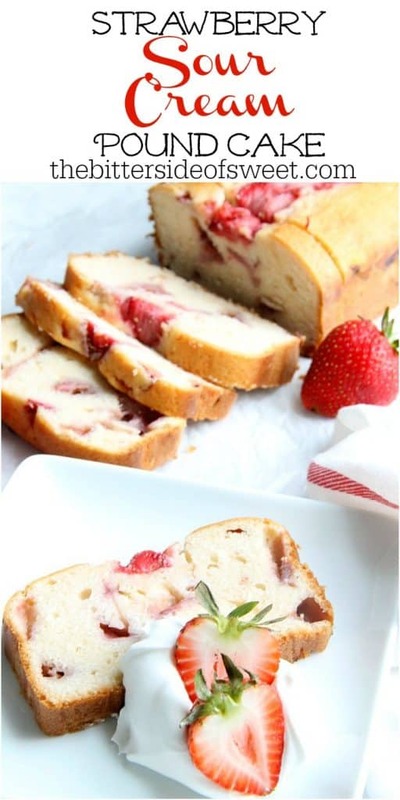 You guys, this is one of my all time favorite pound cakes to make! My mom makes it every time our family gets together but she does a classic version! I’ve attempted it but I add different flavors to it. 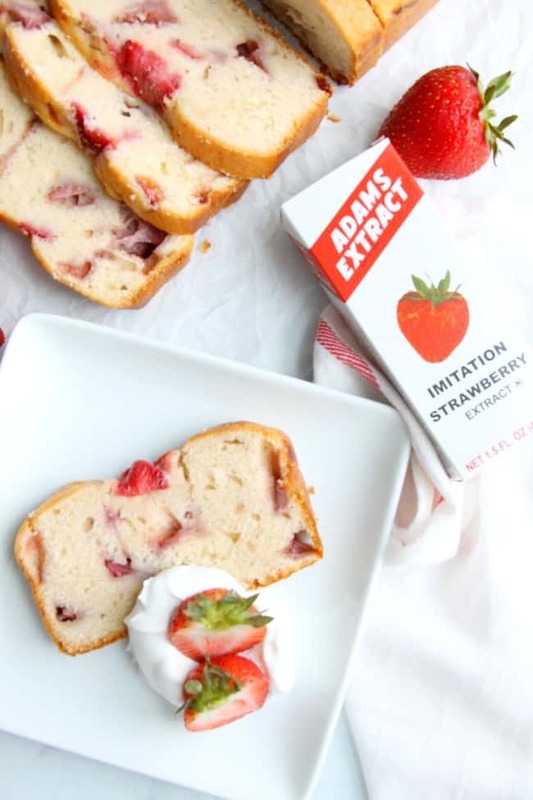 I used Adam’s Extract Strawberry Flavor just to give it an added strawberry flavor! It worked great because I had strawberry flavor in every bite! Just perfect! 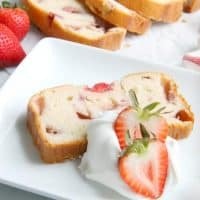 This Strawberry Sour Cream Pound Cake is by far my favorite so far! It’s the perfect way to use up those summer berries! This week I am doing Summer Dessert Week with a handful of bloggers! 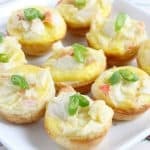 Don’t forget to scroll down and check out all of the recipes! My first recipe I made was Mixed Berry Fruit Pizza! I also make this mixed berry crisp and this banana pudding no bake cheesecake! 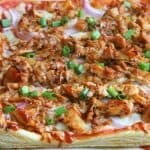 It was a hit with the family and would definitely be with yours! ENJOY! Damn that looks good. 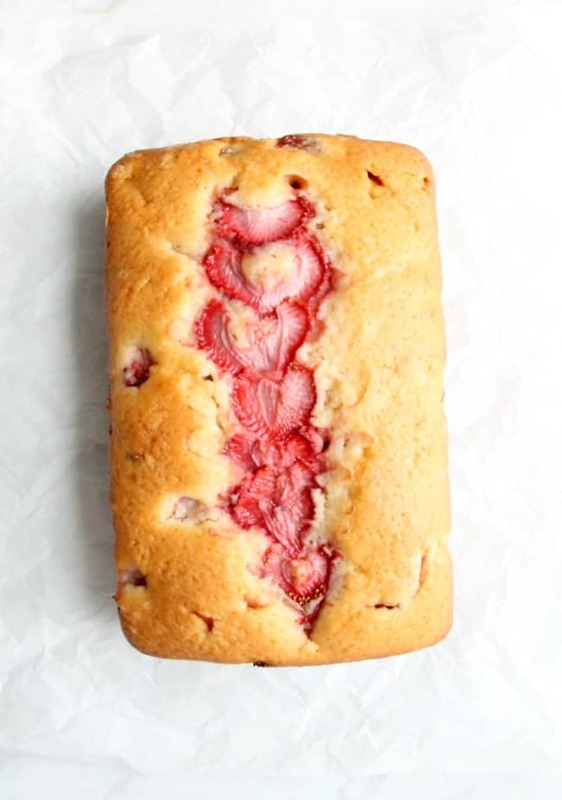 Love the stripe of strawberries on top too. 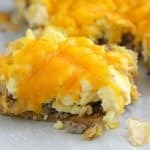 This looks light and delicious! What a treat! There is something so decdent about a pound cake! Please add me to your blog. I would love to receive all of your new posts. When I tried to subscribe all it would keep saying is that the email address requested to unscribe. This is not at all what I want. Love all of your recipies. Hi Catherine, you should be getting an email about access your subscription so you can opt-in to emails. Right now on my end it say that you have opted out. Let me know how it works. A new post is going out tomorrow so you should get an email from me sometime before 12 eastern standard time! Thanks! 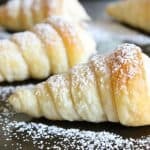 How can I make this a diabetic recipe? Hi Mary, thanks for your question. I have no idea. I do not have that kind of diet/lifestyle but I am sure those who do, know the best way to substitute sugars and other ingredients to fit their needs. Thanks! Hi Linda, I use a 9 X 5. Thanks!